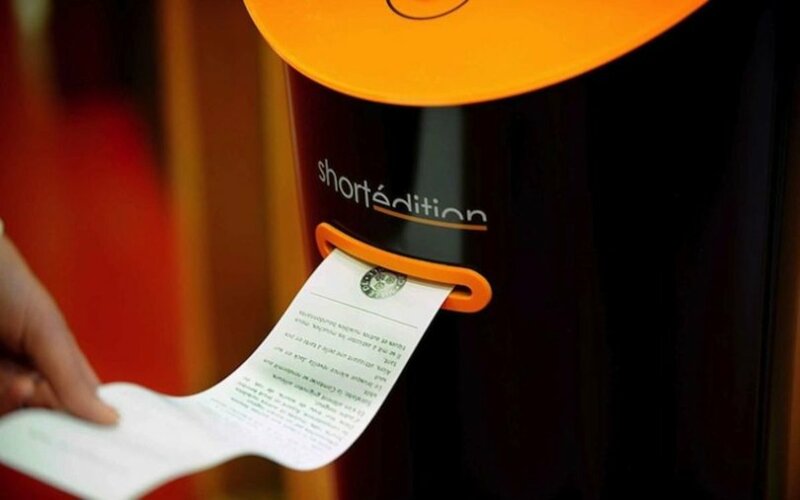 About three years ago I did a post on the introduction of Short Édition short story dispensing machines in France. 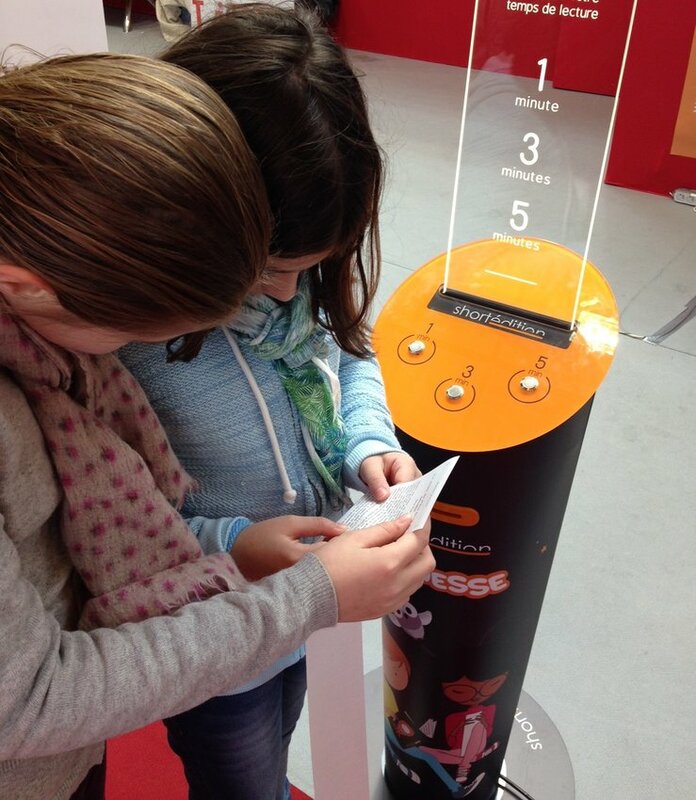 These brilliant kiosks provide users with one, three, or five minute reads on slim receipt-like paper strips for free. Last week, the Free Library of Philadelphia announced that it has received a grant from the James L. knight Foundation to bring three of the story machines to Philadelphia. The kiosk locations haven’t been settled yet, but one spot is likely to be the Philadelphia International Airport. The Short Édition dispensers are currently in more than 150 locations around the world. Libraries in at least four other U.S. states are also planning to roll-out their own machines this year. Writers interested in sharing original work for the project can submit stories to the home website Short Édition. This entry was posted in ebooks, Europe, Libraries, Tech, USA, Writing and tagged Fiction, France, Philadelphia, Writing. Bookmark the permalink.